A trailer was released today for the upcoming Wii-U title – “Fatal Frame”. 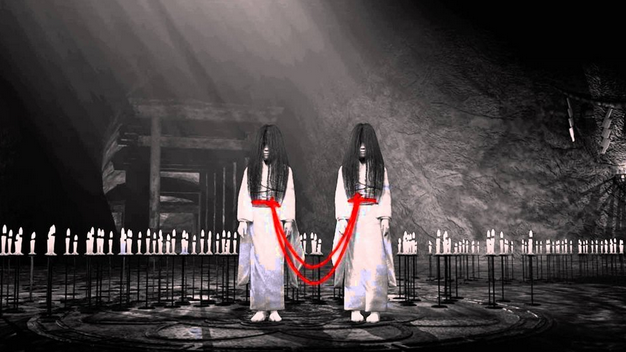 Fatal Frame is a horror adventure game, and it will act as a sequel to the previous titles (Fatal frame 1 and 2) in the series that were released for the Playstation 2 and Xbox consoles back in 2001/2002. In this instalment in the series, players will take on the role of Kozukata Yuuri. She will utilise her powers of being able to see spirits, and later, her power to bring spirits back from the afterlife by making her way to Mount Hikamiyama. This mountain, otherwise known as “The Mountain of death”, holds an area in which humans can pass into the afterlife. The game will release for the Wii-U console on the 27th of September in Japan. The rest of the world has not yet been graced with a release date, which is unfortunate for most owners of the console as this is one of the games that excited owners the most. In game players will have to find ghosts and capture them with an in game camera, and since this is a Wii-U release, the gamepad will work as a camera. Avid fans of the series will be pleased to hear that in addition to this sequel, “Fatal Frame” will also be seeing a live action film, a novel and a comic book series based on the storyline in Fatal Frame, so if you don’t enjoy playing but still like the story, you have plenty of options. I had never heard of this game before watching this trailer, and even though it’s somewhat vague and I have never played the older instalments, I want it. I’m not a horror game fanatic but this one intrigues me. I would gladly play the Japanese version too (though obviously this would be pretty boring not knowing what was happening). This is a game I feel will make people think about purchasing a Wii-U console (if they aren’t interested in the other games it has to offer). What about you? Check out the trailer below, just know that right now the only released trailer is in Japanese, but there are very few scenes containing dialogue.